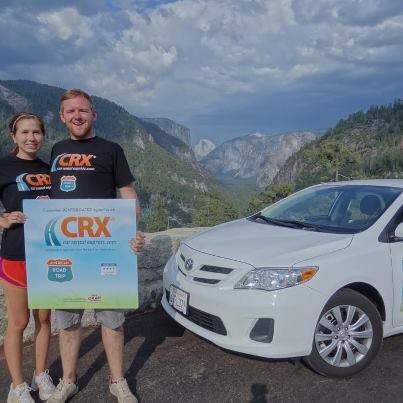 On the first ever CRX American Road Trip, our contest winner Phil & Cat crossed the country in an action-packed 14 days! 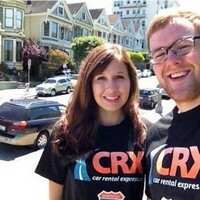 Aug 10 - San Francisco - SuperCheap car rental agency. And they are Off! 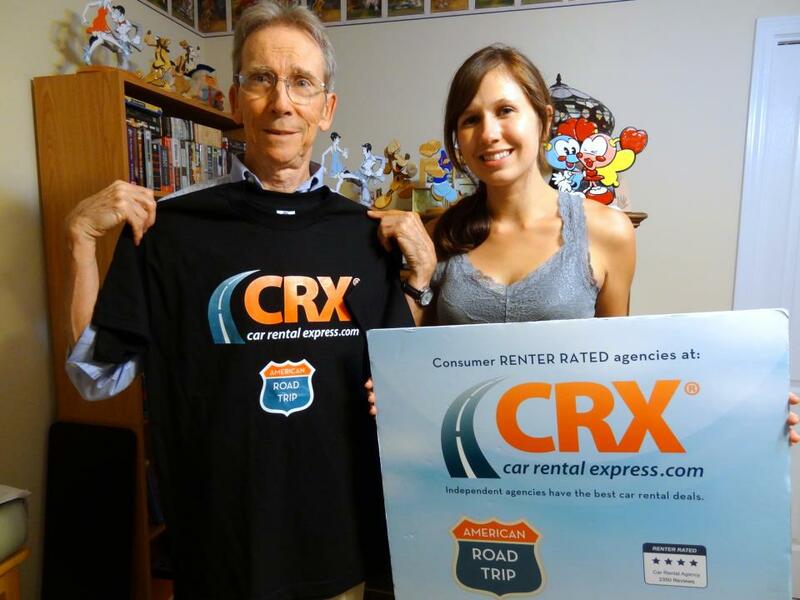 Phil and Cat officially kick off the CRX American Road Trip! 14 days from Los Angeles to New York City. Aug 12 - Phil & Cat checking in from Fresno, CA! Phil and Cat at San Fran's famous Painted Ladies! Plenty of street side parking by San Fran's famous Painted Ladies! 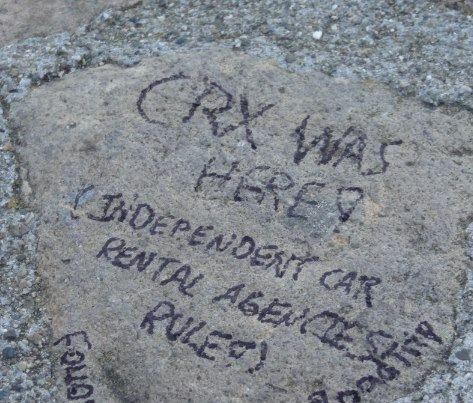 We're giving away lots of CRX gear, so if you're in the area let us know! Aug 13 - Hey err'body! Here's a small update from me & Cat Hendel's journey across America. 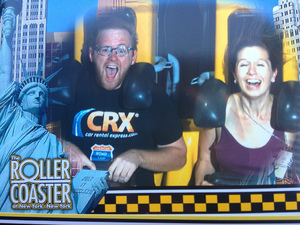 Phil & Cat here, reporting from Las Vegas! We arrived here at dawn, after a whirlwind day in breathtaking Yosemite. We spent all night navigating some of the most exciting highways the West has to offer, and we may or may not have had an alien encounter. Aug 14 - It's Phil & Cat again! We're resting up in Page, Arizona after an eventful day in Las Vegas, and driving through the beautiful Southwest. You know the theory that Elvis is still alive? Well, it's true, and there are two of them. Only in Vegas! Aug 15 - Good morning, everybody! It's Phil & Cat. Yesterday was action-packed, between touring Antelope Canyon in Arizona, visiting El Rancho Hotel in New Mexico, and arriving in Santa Fe. 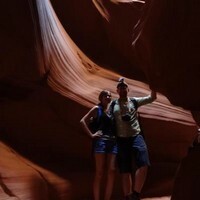 Here's a photo of us in Antelope Canyon, a slot canyon which is really a petrified sand dune. Visit it if you're ever in the area. It will leave you breathless! Aug 16 - After a full day in Santa Fe, the CRX American Road Trip has landed in Roswell, New Mexico! 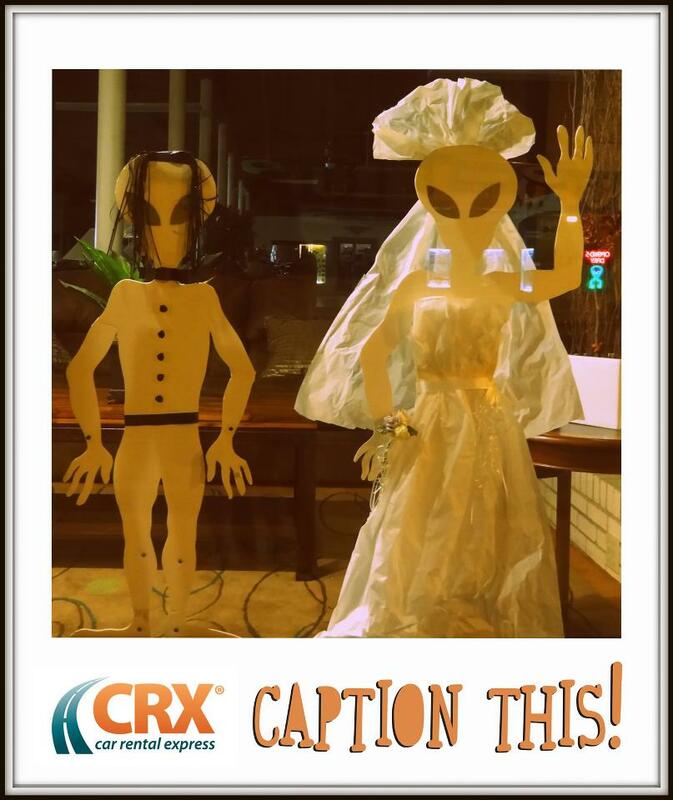 This extraterrestrial bride and groom are but two of the many aliens lurking around the town. Captions were commented on facebook. The caption with the most likes received an out-of-this-world magazine that captures the imagination of any Earthling! 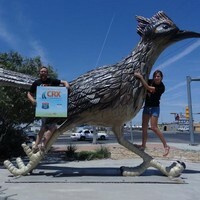 Yesterday we paid a visit to Paisano Pete, the giant roadrunner that welcomes visitors into Fort Stockton, Texas. Today, we're spending the morning in Austin, Texas, then off to New Orleans! 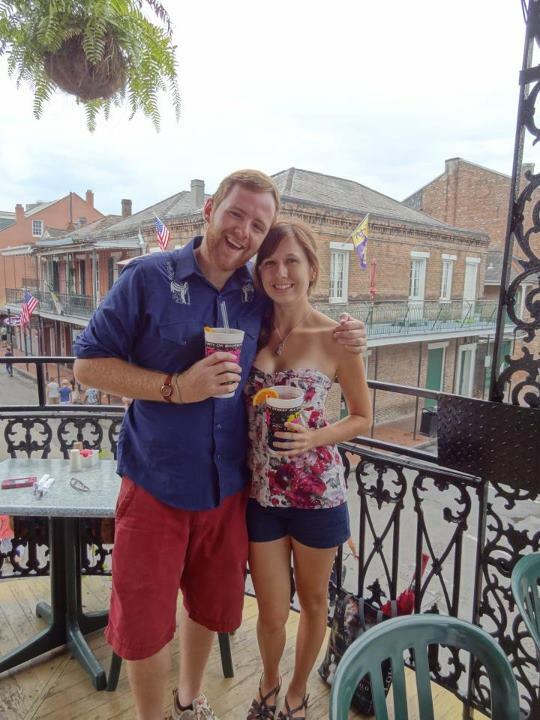 Aug 18 - Phil & Cat reporting from New Orleans! Today we've made the transition from the deserts of Texas to the wetlands of the South. 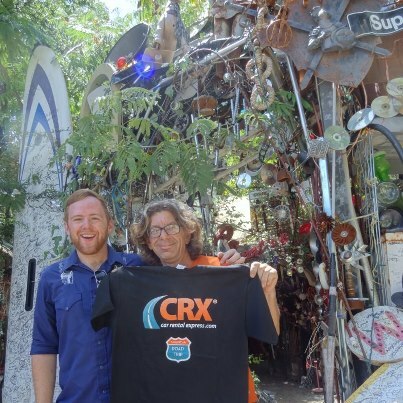 This afternoon in Austin, we paid a visit to Vince Hannemann, creator of the Cathedral of Junk, which was by far the most unforgettable roadside attraction we've seen on our journey! One of New Orleans' architectural highlights is the ornate balconies that adorn so many of the buildings! We were luckily able to enjoy our dinner from one, looking down on Bourbon Street. What a view! Aug 20 - Cat here! Thanks to the CRX American Road Trip, I got to meet my Cousin Ralph for the first time on our drive to St. Augustine, Florida. 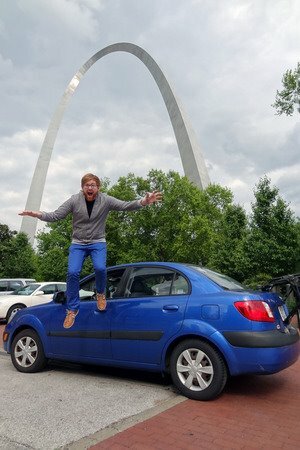 Another exciting door opened because of road-tripping with a rental! Aug 22 - Winston-Salem, North Carolina. Aug 23 - High Point, North Carolina. 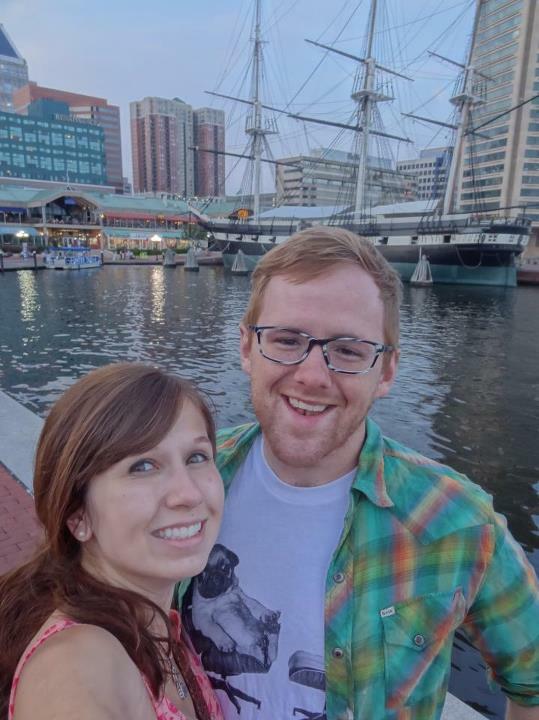 Cat & Phil checking in! 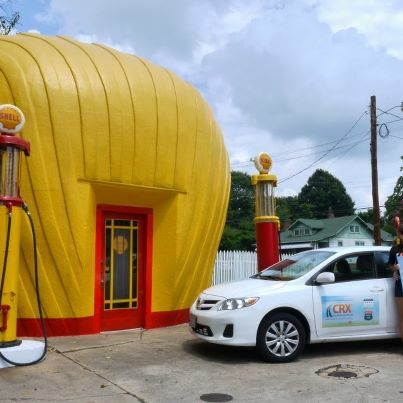 On our way to Baltimore, we stopped in High Point, North Carolina. As the Furniture Capital of the World, it's only appropriate that it's home to not one, but two enormous chest of drawers. Here's #1! 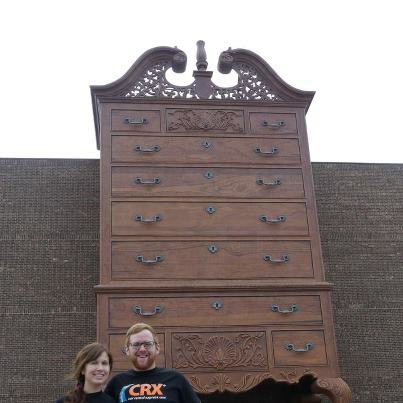 This other chest of drawers holds the title for the largest in the world! At 80 feet tall, it's difficult to pass by NC's Furnitureland South without stopping for a closer look. 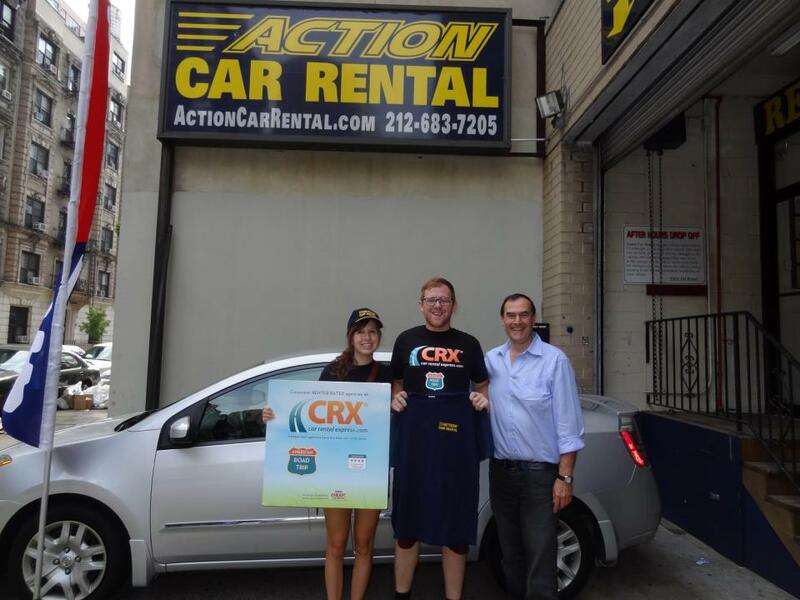 After 14 days and over 5,000 miles, today we said goodbye to our dear friend "White Lightning" at Action Car Rental in New York City!